In the UK, dry herb vaporizers are becoming popular as people become more concern of the sound benefits of vaping and make the decision to quit smoking. There are literally hundreds of vaporizers available to buy of all shapes and sizes. This can help you to choose the right model difficult for a vaping novice. To help, we discuss 5 variables you must consider before choosing the right vaporizer for you. Will a desktop for portable vaporizer best suit me? When choosing a dry herb vaporizer, typically the first question you’ll need to ask yourself is whether you will require a portable vaporizer or a desktop. Obviously, if you’re most likely to be vaping outside of the home, then a portable is the right choice for you. If going with portable, you’ll need to pay close attention to the battery size of your vaporizer. You’ll likely require a vape that can provide enough energy to last an entire day. 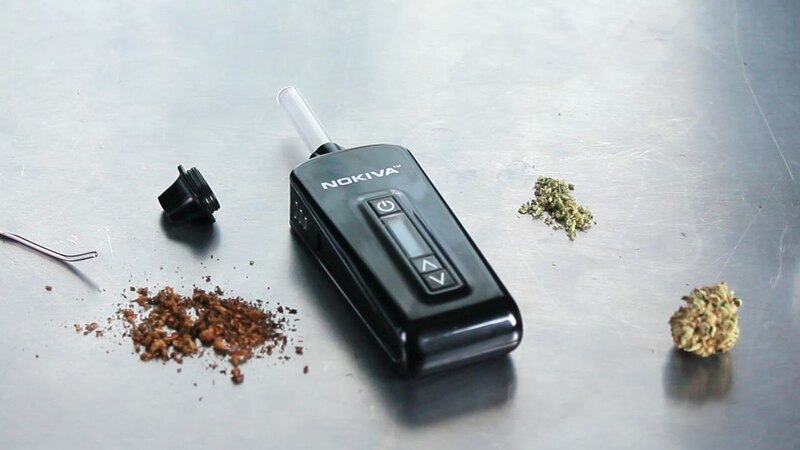 Desktop vaporizers have the limitation of only being used at home. However, their size does have advantages – they are powerful and often provide a more exhilarating and flavourful vaping experience than a portable vaporizer. Vaporizers can cost anywhere between £15 to £300 which can be quite confusing for a first-timer. With herbal vapes, the age-old adage is true; you get what you pay for. Vaporizers such as The Mighty, The Volcano and Ghost MV-1 all cost in excess of £250 but they also provide some of the finest vaping experiences in the world and are all universally well reviewed. However, you can find vaporizers around the £50 mark that also perform well as long as you manage your expectations. The biggest difference is usually in materials used and battery life. Personally, I wouldn’t advise spending any less than £30. Cheap vaporizers tend to have plastic parts which can release toxic chemicals when exposed to high temperatures. A quality oven is often the difference between a good vaping experience and a great one. As such, the material used in your vaporizer’s oven is an important factor. The most popular materials used are stainless steel, ceramic and glass. Glass is by far the best material for having no effect on the taste of your vapour. However, of course, glass is very fragile and as a result, is rarely used in portable vaporizers. Second to glass is stainless steel. Stainless steel is a great material as it is non-porous and non-corrosive. However, it is quite an expensive material for manufacturers so it often used in only expensive vaporizers. Ceramic is by far the most popular material in herbal vaporizers for good reason. It strikes the perfect balance between affordability and performance. Ceramic has little effect on the quality of vapour produced. However, its disadvantage is that over time the ceramic will absorb colouring from your herbs and become quite difficult to clean. Finally, we advise you to avoid plastic ovens due to the release of toxic chemicals. The ovens in dry herb vaporizers usually heat your herbs in one of two ways; conduction or convection. Conduction vaporizers heat by touch. This is great as direct contact means your herbs are heated often instantly and are very easily produce vapour. However, this benefit can also be a disadvantage as it’ll often mean the entire contents of the oven will not be heated evenly. More often than not, the herbs closest to the heating element will be fully vaporized whilst the contents furthest away do not heat up at all. Convection vaporizers work by first heating the air, which in turn heats the oven. The main advantage of convection is that it cooks the entire contents of the oven evenly. The disadvantage is that they can be quite slow and often use a lot more battery power. Expensive vaporizers such as The Mighty and the Ghost MV-1 boast hybrid heating technology. Hybrid heating has all the advantages of conduction and convection with none of the sacrifices, making them some of the most sought after in the world. Which store should I purchase my dry herb vaporizer from? Though many dry herb vaporizer online stores offer the same products, it is important to choose the right vendor. Buying a dry herb vape can be a considerable investment. If anything goes wrong, you’ll want to be sure that your vaporizer is a genuine model and that you have fair warranty coverage. In my experience, Everyonedoesit is a good store but because it is a big corporate company it can be a bit faceless if you want to speak to anyone. My favourite in the UK is dank! vapes and Vapefiend – they both have a great customer service team and are easy to speak to directly if you require any help or assistance. What Is A Psychic Chat Reading And How Can It Help You?